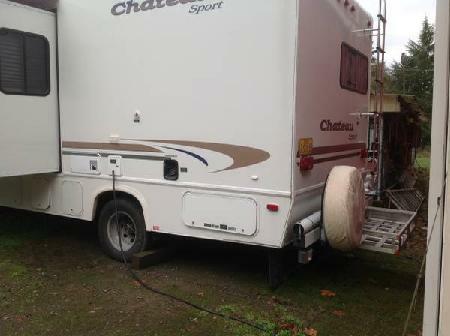 2001 THOR FOUR WINDS CHATEAU 23J, 23' long, Oregon City, OR. 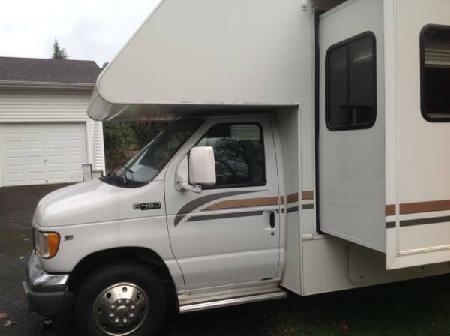 Bought this Class C Motorhome in 2003,has 29,253 miles. In great shape,been kept in shed. 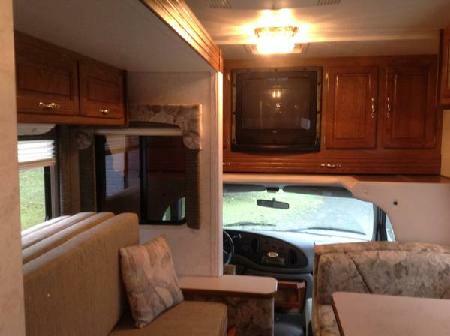 Has all the bells and whistles : Overall Motorhome length is 25 ft. Wide wheel base,(less sway).Exterior width 99",built on a super duty E-450 ford chassis.the engine is a powerful 6.8 liter triton v-10.Fuel 55 gal.LPG 54 pounds, Fresh water 26 gal.Waist water25 gal.Gray water 25 gal. 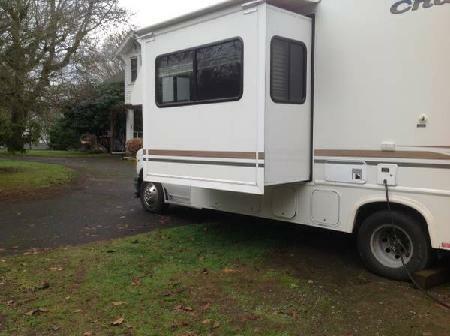 Power steering ,power windows,out side storage,spare tire,out.side rear ladder,Walk on roof,Heavy duty towing package,15'awing,power step,Onan generator, (108 hours). Tv,antena,Tags good till 8 -2020. 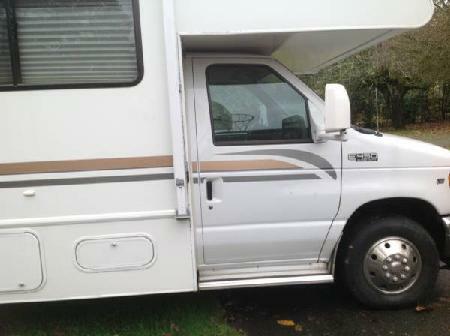 The interior looks great,the cab has two captain chairs, Am-Fm, CD stereo,cold dash air ,heater,cruse controll,etc.Above the cab is a pull out single bed,TV. Behind the cab is at table booth that makes a bed with storage under. The powered deep slide out contains a great custom day bed that pulls out making a double bed. (not a sleeper sofa !). 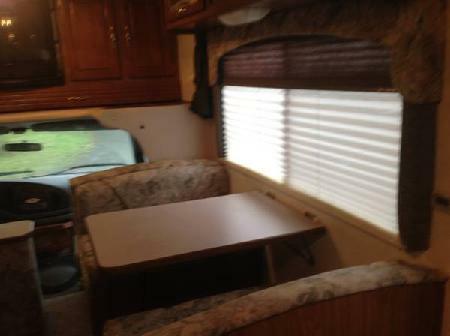 Day and night shades,TV,lots of over head hard wood cabinets,Double door hanging closest,Two drawers under it,Roof air condition. 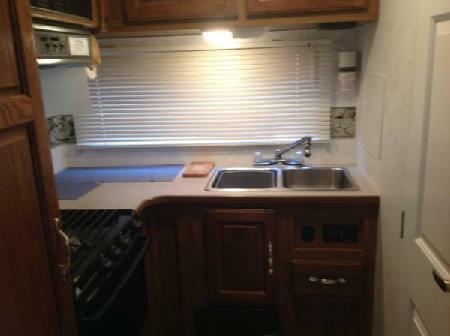 Rear kitchen with everything, 3 burners,oven. 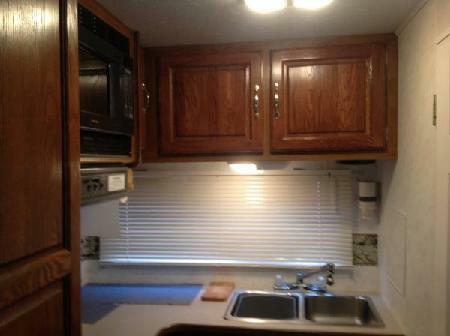 And a micro,.Frig and freezer,hot water heater(switch inside). carbon monoxide and smoke dectors. corner bathroom,.shower with skylight.Furnace,no smokers,no pets. Plus more. Have this Class C Motorhome manuals on every thing.